I was expecting to get more than just a simple pat-down on this mid-November day. I wasn’t expecting when and where it would ultimately occur. The day started in Israel. Backtracking a bit, before I even landed in Israel a week prior, I was interrogated for a couple hours by Israeli airline workers. They searched me physically and digitally before letting me onboard the plane. I figured when flying out of Tel Aviv’s Ben Gurion Airport, which is known for intense security procedures, I would be in for another interrogation. It didn’t happen. But I wasn’t off the hook. I flew from Tel Aviv to Barcelona, Catalonia. I would return to Barcelona in a few days for a workation, but at this point, my destination was Andorra — the only of Europe’s microstates that I had yet to visit. Andorra is a principality, but it isn’t ruled by a prince… well, sort of. Technically, Andorra is a diarchy with two co-princes, one of whom is the president of France. The other is the Catholic bishop of Urgell in Catalonia. Andorrans are originally of Catalan descent, and Catalan is the official language of the country. Spanish, French and Portuguese are also commonly spoken. Andorra has a total population of about 77,000, making it the 11th smallest country in the world by population. By land, it is the 16th smallest country. Back on the road, I had left Llivia and left Spain and had about 30 minutes to go to reach Andorra. I noticed some blinking lights coming from a little ways ahead of me. I thought it might be some police radar system. I slowed down a bit but wasn’t too concerned. About 20 armored French police vehicles appeared out of nowhere. They were hidden behind trees. I had hit a surprise French customs checkpoint. I knew what they were after — black money. For that matter, I had experienced this before. 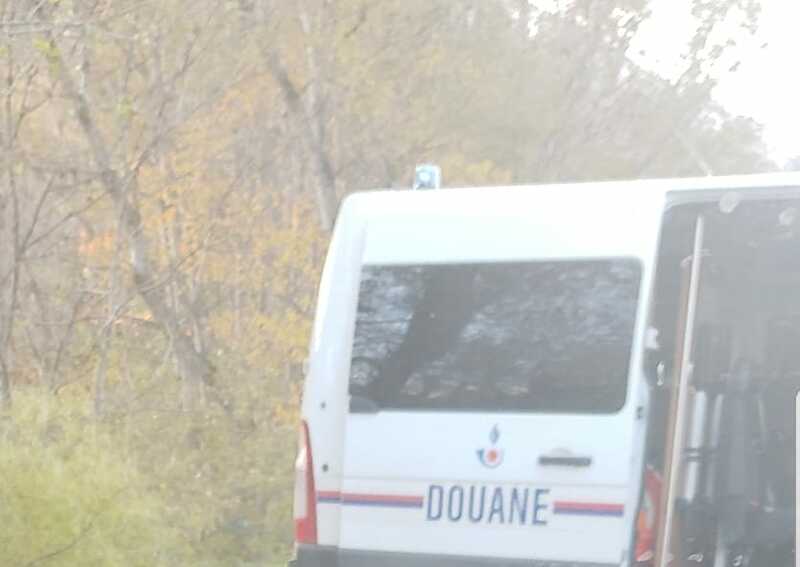 The previous year I was on the eastern side of southern France driving with my father on the way to Eze, a mountain commune near Monaco, when a policeman basically jumped out of a bush, stopped our car and demanded everything be searched. This is what happens when you are in France, a tax hell, and near Monaco or Andorra, tax havens. Here in southwestern France, the shakedown, or rather attempted shakedown, was more intense. The French customs officers ordered me to drive outside of their camouflaged checkpoint area. I got out of the car and made contact with a few heavily armed officers who could barely speak any English. There was one man who could speak no English and two women who could speak a little English. I did not try to show off my very weak French skills, which are attributable in part to these high school shenanigans. One of the women extensively searched my car, as well as my body, though she refrained from reaching into any body cavities. While tossing and turning my vehicle and my luggage, she found no drugs or black money. Or did she?? I didn’t have any drugs on me, but I did have some illicit looking cash. Precisely, this cash came from North Korea. French customs police stopped me, searched me, tossed and turned my car and my luggage only to find a couple bills of North Korean won, which internationally, are worth just about nothing. It was a tough break for the law-abiding thieves. One of the woman officers was intrigued, though. I talked with her about my recent trip to the DPRK. Then they let me go. I crossed into Andorra and immediately hit snow that I wasn’t expecting to see. El Pas de la Casa is a mountain pass, town and ski resort in Andorra right next to the border with France. 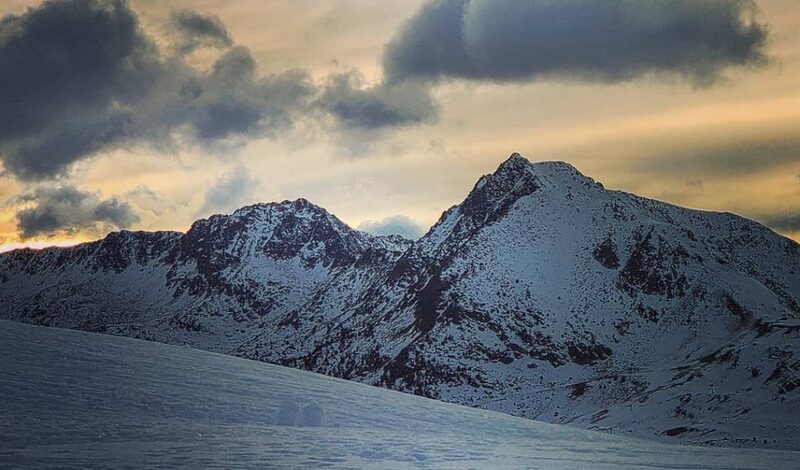 As I drove up this mountain pass and next to the resort, I did not see skiers, but I saw more and more snow, and I wasn’t sure whether I was going to make it up and over the pass. My car managed without chains, and I navigated the pass without hitting some ice and skidding off the road. It was mid-November, still before the start of the ski season, but the slopes were covered in white and pretty much perfectly maintained, even though there were no people on them. 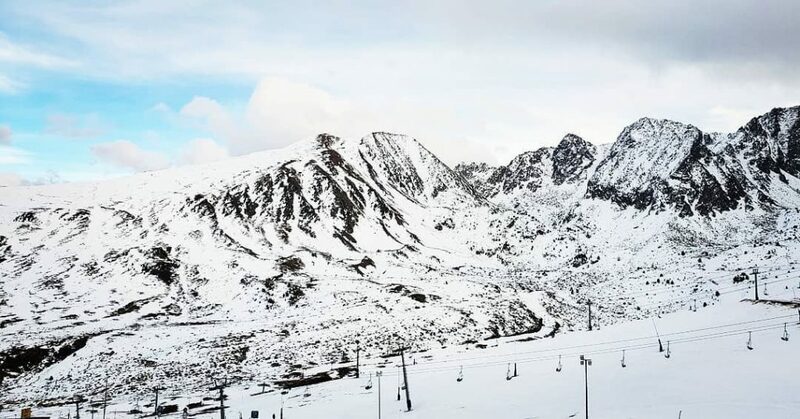 At about 2,400 meters, this ski resort is actually the highest in winter sports-rich Andorra. After going up and over the pass, I wove my way to the Andorran capital, Andorra la Vella. 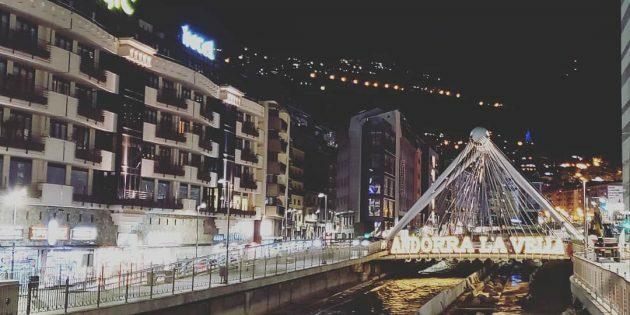 While not as high as the mountain pass on the border, Andorra la Vella is situated in the east Pyrenees more than 1,000 meters above sea level, making it Europe’s highest capital. Andorra la Vella is a nice little city with narrow streets and quite a lot of traffic for a microstate capital. But it has some pleasant surprises as well. For instance, Andorra la Vella has the largest spa complex in Europe. Following a rendezvous with an old friend of mine, who is a poker player and a resident of Andorra, I went straight to the spa. Called Caldea, the spa offers a large variety of thermal baths, as well as a sauna and a light and laser show to entertain you while you are soaking up the heat and minerals. 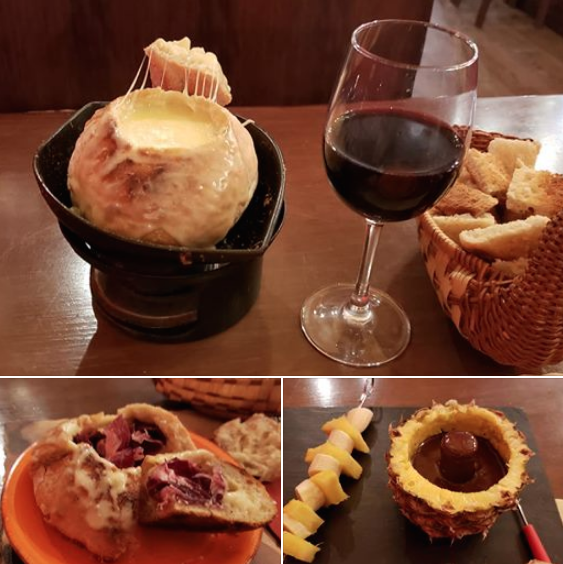 After my bath, I went for an 11 pm dinner at the restaurant Cheese’s Art Andorra – a delicious Swiss fondue place. First, the waiter delivered me a bread bowl. Then he filled it up with melting cheese and white wine. After I devoured the cheese, he cut up the bread and added ham (jamon iberico) to it. Finally, for dessert, I was served delicious chocolate fondue in a whole pineapple. And it was all for just 20 euros. This fondue place very much symbolized Andorra as a whole. It looked like Switzerland, but with a much more Spanish atmosphere (muy bien 😊) and much cheaper prices than Switzerland. Another big surprise about Andorra was… hitchhiking. It seems like everyone in Andorra hitchhikes. I guess it is easier than getting around by public transport, and Andorra is a safe country, so it makes some sense. I got in on the fun, opting to pick up some Andorran girls (literally). While driving them around, I asked them about life in the microstate. They seemed to like it. Coincidentally, while in Andorra, I met a family that I had long wanted to meet. Marek and Ana Padman are from Austria. They have four sons. Often one child is reason (excuse) enough for parents to refrain from achieving freedom through emigration or perpetual travel. Yet, Marek and Ana have four children, and they still manage to travel all year long. Marek, Ana and their four boys have been traveling perpetually since July 2015. Their family embodies statelessness. I interviewed them back in January 2016. You can find the interview here. The Padmans noticed I was in Andorra. It so happened they were passing through Andorra and making a stopover while on a drive from Switzerland to Malaga, Spain. 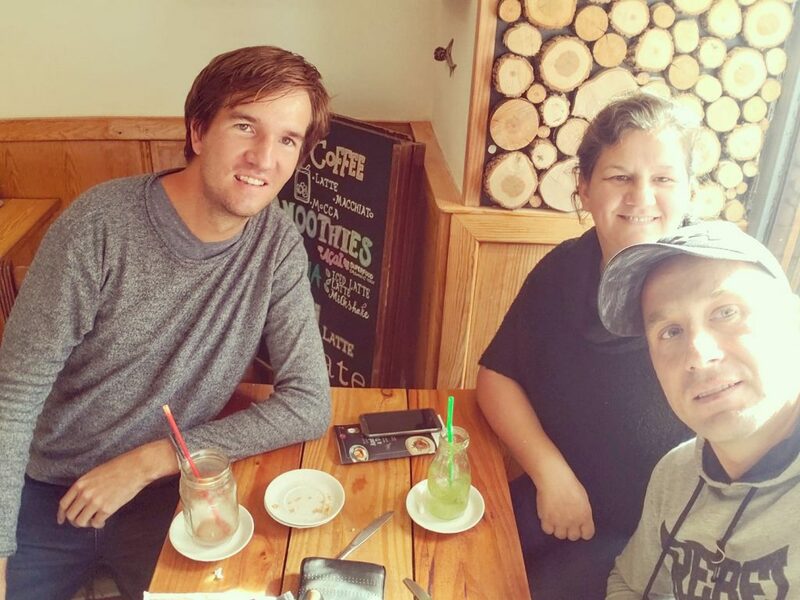 We met for smoothies, conversation and a selfie. Unfortunately, neither them nor I have too much time to spare, as we are constantly on the move. Before departing Andorra, I drove up to Mirador Roc Del Quer, an impressive lookout point. Surrounded by the snowcapped Pyrenees and looking down on an Andorran valley, I really enjoyed the view. Trying to soak in every last drop of Andorra, I went for a short walk, as well as a drive on a backroad. After about 5 km, the road was closed, and I had to turn back. Without any complications, I crossed the Spanish border and was back in Catalonia. For me, the quality of life in Andorra is very high. 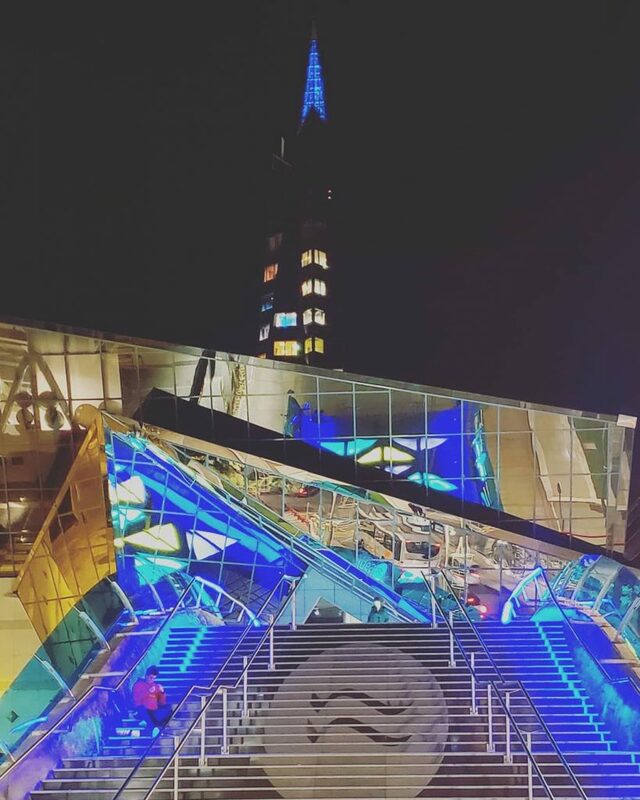 In the capital, everything is open late. 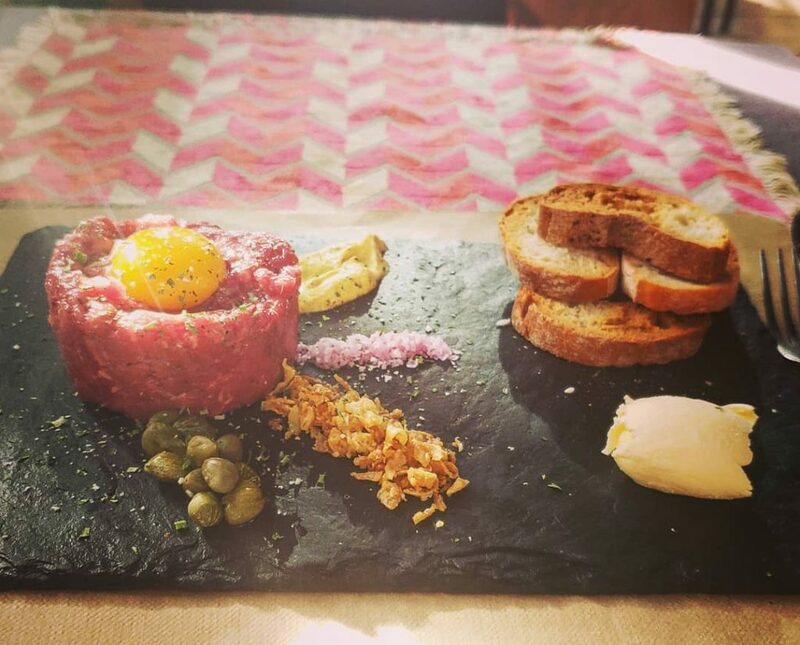 There are plenty of restaurants and even quality nightlife. Andorra has very low VAT, which makes it an attractive shopping destination, especially if you are shopping for alcohol or tobacco. Overall, it is not quite the tax paradise it used to be, but Andorra is still a big tax oasis for the Spanish and the French. Earlier this decade, the EU pressured Andorra into instituting an income tax. Andorra’s personal and corporate income taxes now range 0-10%. There is still no capital gains tax, and dividends are still tax free. Plus, it is not that hard to immigrate to Andorra. All of this makes it appealing to stateless-minded folk. To me, what sets Andorra apart from Monaco, Liechtenstein and San Marino (the three similar microstates in Europe), is the quality of life and the atmosphere. I still have some Andorran valleys to explore, so I will surely be back. And the French customs police aren’t going to stop me or get any of my money… unless they are set on confiscating some useless government paper.